You could pick a street at random in Galena, and no matter which you choose, it will likely have a rich history. This city is filled with beautifully preserved 19th-century buildings which indicate its colorful past. In fact, 85% of the buildings are in a National Register Historic District. In a place with such an ebullient past, it follows that there would be a wealth of historic sites and museums. Below are some of our favorite historic sites in Galena, IL. They include sites in downtown Galena and nearby locations. Once you learn about Galena’s history, you may be in search of something else to do. Download our complimentary Galena Travel Guide for local recommendations for fantastic restaurants, shopping, and more! The Galena Historical Society describes Galena as “one of the country’s most historically significant, culturally vibrant, and scenically breathtaking places. Carved into a steep, rocky hillside in the early 19th century, Galena’s historic downtown offers a glimpse of the region’s past as an economic boomtown, larger than Chicago in the 1830s.” The following list is by no means exhaustive, but it does cover many major historic sites in Galena, IL. Listed on the National Register of Historic Places, Apple River Fort marks the site of one of the battles fought during the Black Hawk War. By visiting this state historic site, you can learn about Black Hawk and early settlers through resources like the interpretive visitor center and a reconstruction of the vanished fort. If you visit Apple River Fort on weekends from May to October, there are also living history activities and special events. While not an official historic site, Council Hill Station dates back to the 1850s, where it was a general store and railway station. There’s also a silo and a ruin of a mill and barn. Today, this building on the east fork of the Galena River is a live music venue serving food and a wide range of libations. This historic site preserves the home of Elihu B Washburne, a prominent Galena attorney who went on to serve in Congress from 1853-1869. He was a close associate of Abraham Lincoln and future president Ulysses S. Grant, also a fellow Galenian. The Elihu B. Washburne House State Historic Site is open seasonally (May through October) with tours available on Fridays and Saturdays. The Galena Historical Society was founded in 1938 and includes the Galena/U.S. Grant Museum and the Old Blacksmith Shop. The museum is in the historic Daniel Barrows Mansion in downtown Galena and displays exhibits that provide a glimpse into various aspects of Galena’s past. The Old Blacksmith Shop is a museum, but its forges are fully-functional, and work from local blacksmiths can be purchased in the gift shop. The Old Market House, built in 1846, served as the city market and seat of Galena government for 65 years. This period was one of the most prosperous for Galena. Today, it provides a fitting space for Galena’s visitors center and features many historical exhibits, many of which center on Ulysses S. Grant. This restored building from the 1820s was used as a refuge for women and children during the Black Hawk War. Today, the Old Stockade displays historical information and is open by appointment. The U.S. Grant Home State Historic Site preserves the home in Galena that Ulysses S. Grant and wife Julia resided in during the 1860s. It is open for tours from Wednesday through Saturday and is closed on select holidays. Take a one-hour tour of Galena’s Historic Main Street, led by a tour guide dressed as Ulysses S. Grant. 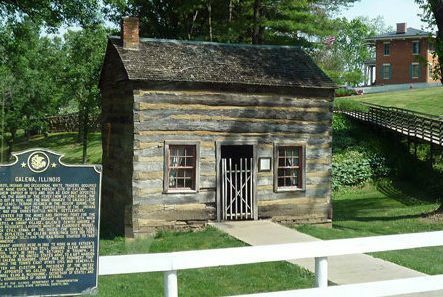 Stroll by historic buildings and learn about early life in Galena, General Grant, the Civil War, and more. 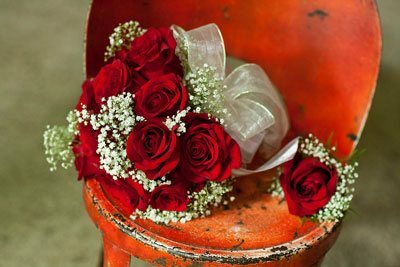 The Galena Main Street Walking Tour begins in the lobby of the Historic Desoto Hotel and runs rain or shine. If you would prefer to take a self-guided tour, the Galena Tours App is a great resource. This comprehensive app was created by Paula Schonhoff, a native of Galena and lifelong resident. This app took three years to complete because of the sheer amount of extensive research necessary to cover the history of Galena. The app comes with nine pre-arranged tours, contains several historic locations with voice-narrated information, and features hundreds of historical photographs from around Galena. Farmers Guest House is a destination in itself for history enthusiasts. Built in 1867, it is one of the few buildings in the downtown Galena Historic District still fulfilling its original purpose and is Galena’s only 1800s-era restored inn. The history of Farmers Guest House seamlessly blends with modern luxury to create an elegant, award-winning bed and breakfast. Our inn is steps away from historic Main Street and the Helluva Half Mile. It’s also within walking distance of many of Galena’s historic sites and a short drive from others. History permeates our inn down to the names of our suites. Our Charlotte Suite, named after the wife of a Civil War general, exudes historic charm in a comfortable setting. 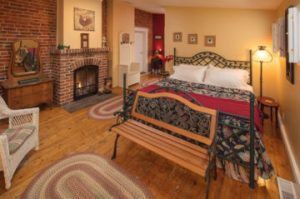 An interior brick wall, wood floors, and romantic, crackling fireplace create an inviting atmosphere while the king-sized bed and whirlpool tub provide luxury. Your complimentary gourmet breakfast in the morning will set high standards for the rest of your day, as owner and chef Susan Steffan prepares it. 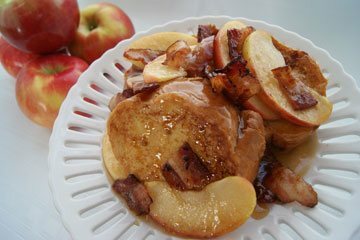 With a moniker like the Breakfast Diva, it is no surprise that each meal is an incredible creation. 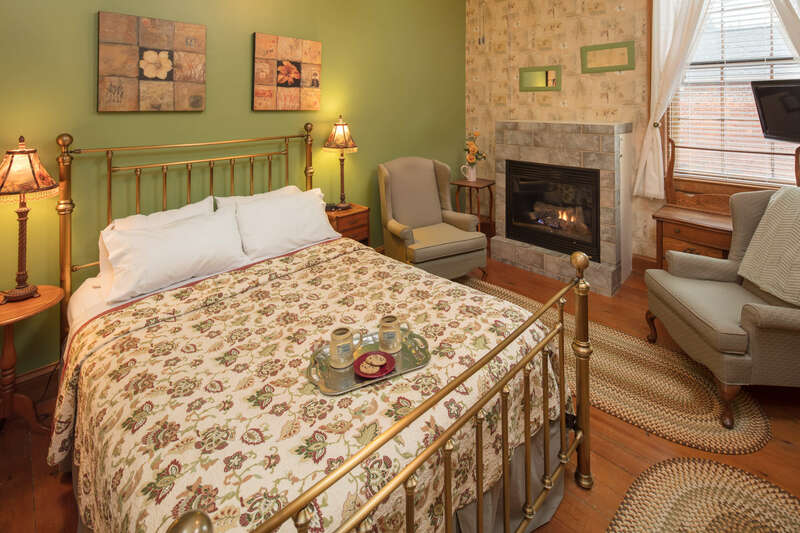 Discover why Farmers Guest House is recognized as a top bed and breakfast in Galena. Browse all our guest rooms and reserve a suite today!